Lumenis Ltd., the world’s largest energy-based medical device company for aesthetic, surgical, and ophthalmic applications, is thrilled to unveil Pico Fractional™, a new photoacoustic fractional laser, at the American Academy of Dermatology (AAD) Annual Meeting in San Diego, CA from February 16th-18th, 2018. Pico Fractional, is a new PiQo4™ hand-piece, which introduces a fractional laser beam based on photoacoustics. As opposed to traditional laser treatments, which use thermal energy, PicoFractional creates thousands of microscopic treatment zones within the skin, and utilizes the shattering effect of sound waves to create tiny holes deep within the dermis, known as Laser Induced Optical Breakdown (LIOB). The photoacoustic beam creates pressure waves that initiate an enhanced inflammatory healing response, resulting in an increased production of collagen and elastin. 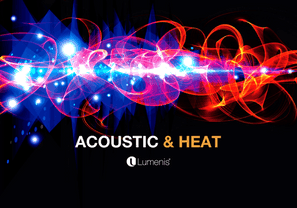 With Lumenis featuring groundbreaking photoacoustic and photothermal technologies this year, the brand’s theme will be “Acoustics and Heat,” which will be represented with a unique 3D adventure highlighting the power that both have in transforming the aesthetics industry. The wide range of Lumenis products allows physicians to work using a combination of technologies, such as IPL and PiQo4. With a hologram 3D journey through astounding dermatological results, this year’s booth will be an exciting look into the future of aesthetics. “This is a great combination, [acoustics and heat are] great dance partners. You have the acoustic effect of the fractional mode of PiQo4 that is very synergistic with the thermal mode of the AcuPulse system. So now you have a nice, deeper penetrating laser, but it is painless,” said Dr. Vic Ross, who uses AcuPulse and PiQo4 at his practice. For more information about the Lumenis family of products, please visit the Lumenis booth (#2229) or lumenis.com for a detailed agenda of activities at the conference. Information provided in this press release may contain statements relating to current expectations, estimates, forecasts and projections about future events that are forward-looking statements. These forward-looking statements may include but are not limited to the Company’s plans, objectives and expectations for future operations, including its projected results of operations. Forward-looking statements are often characterized by the use of forward-looking terminology such as “may,” “will,” “expect,” “anticipate,” “estimate,” “continue,” “believe,” “should,” “intend,” “plan,” “project” or other similar words, but are not the only way these statements are identified. These forward-looking statements are based upon our management’s current estimates and projections of future results or trends. Actual results may differ materially from those projected as a result of certain risks and uncertainties. These forward-looking statements are made only as of the date hereof, and the Company undertakes no obligation to update or revise the forward-looking statements, whether a result of new information, future events or otherwise. For further information, contact 5W Public Relations at Lumenis@5wpr.com.